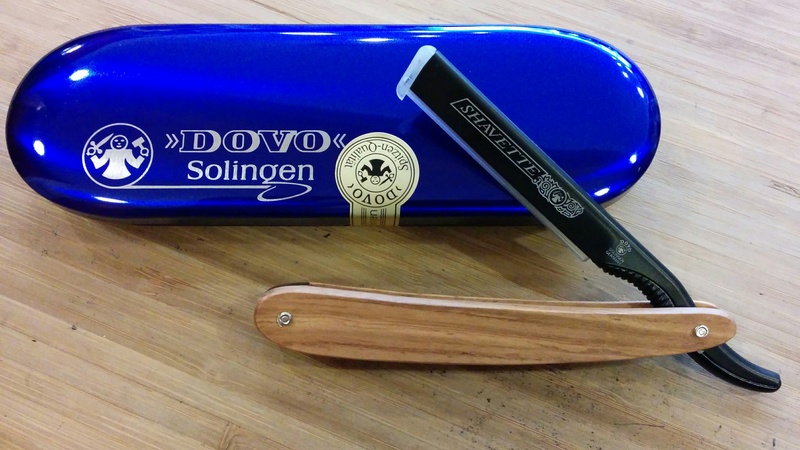 Meet the newest member of Dovo’s family of replaceable blade straight razors! This model has a beefy Olivewood handle that looks fantastic and does a great job of approximating the feel of a traditional fixed blade straight razor. These razors are great for those who are new to the world of straight razor shaving as they are relatively inexpensive (this model sells for $85 – we have other versions starting at just $60), they require no maintenance, and are they very forgiving (i.e. safe) if you make a mistake. They are also a great travel option for experienced straight razor users – no need to pack a strop, blade oil, etc. – just toss the razor & an extra blade or two in the case and away you go!